CrackBerry Asks: Did you buy Angry Birds for the BlackBerry PlayBook? Did you buy Angry Birds for the BlackBerry PlayBook? While it hasn't even been a week since hitting the BlackBerry PlayBook, Angry Birds HD, Angry Birds Seasons and Angry Birds Rio are all sitting on top of the Top Paid apps in BlackBerry App World. It's no surprise really, as everyone loves angry birds (well, pretty much everyone anyway). I grabbed Angry Birds HD for my PlayBook and spent a good amount of my weekend taking down those little green pigs. No matter how many times on how many platforms I play, I still love rocking it out not matter what version it may be. 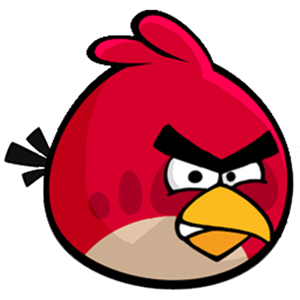 So we're just curious to know how many of you picked up Angry Birds (HD, Rio or Seasons) for your PlayBook. Pick up the option above that best fits you, then drop a comment letting us know why you did or didn't grab Angry Birds for the BlackBerry PlayBook.